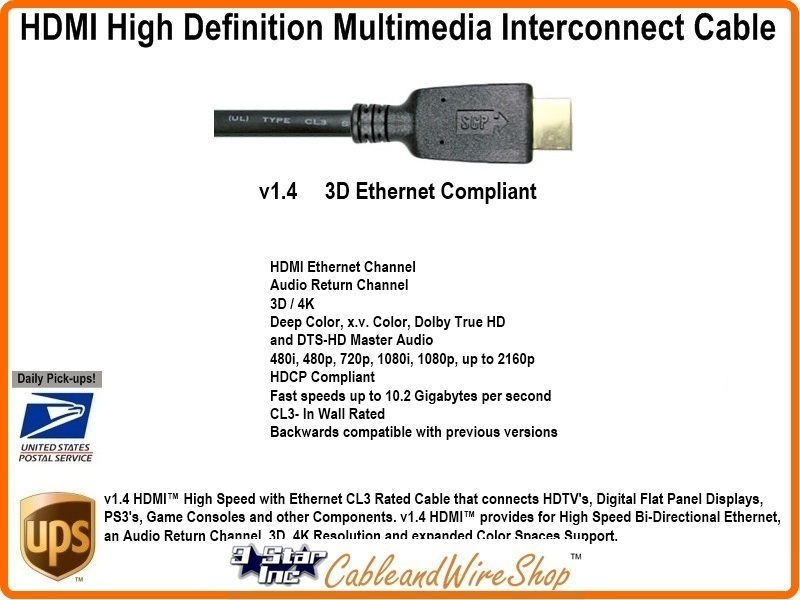 Is 30 Feet of version 1.4 HDMI Cable that connects HDTV's, Digital Flat Panel Displays, PS3's, Game Consoles and other Components. v1.4 HDMI provides for High Speed Bi-Directional Ethernet, an Audio Return Channel, 3D, 4K Resolution and expanded Color Spaces Support. Includes Built-in Repeater.